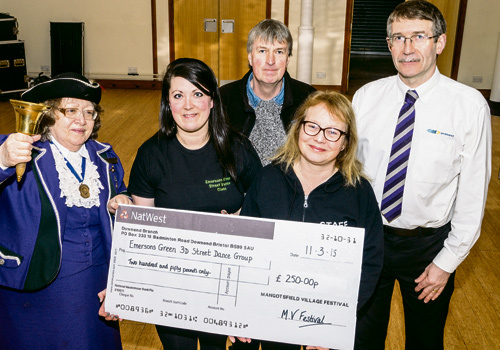 THE Great Western Air Ambulance Charity and Emersons Green 3D Street Dance Group have both benefited from last year’s Mangotsfield Festival. The two organisations were presented with cheques for £250 as part of the festival committee’s pledge to support local groups or charities. 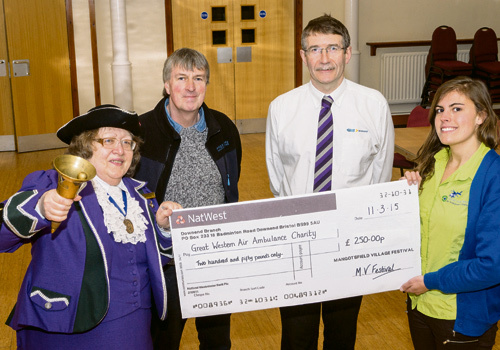 Each year Mangotsfield Village Community Awards are given out to deserving causes. Previous winners have included Mangotsfield Juniors FC, St James’ Church and Phoenix Allstars Cheerleading Club. This year’s festival will take place on Saturday June 13 from 11am at Cleve Rugby Club, Cossham Street. Entry costs £1 per adult and unaccompanied children.